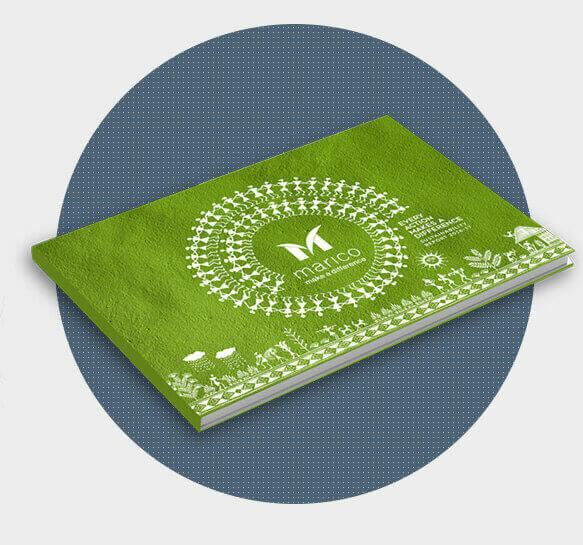 We are a trend-setting sustainability & annual report design agency. DesignMyReport can help stylize corporate reports with trend-setting design across print and digital formats. Transform your Report into an interactive website with the latest annual report design trends. Turn corporate information into a powerful video-based story of your year. Give shareholders access to integrated reports on the go. Impress with beautifully crafted analyst Powerpoint presentations and slick narratives. Bring corporate announcements to life with beautifully designed emailers and press releases. Our forte is design and not financial advisory. When India's first Hindi TV network completed 25 years, they didn't want to go with a lazy 'Silver Jubilee' theme for their annual report. Instead, Zee Entertainment came up with a new philosophy to mark this milestone- Extraordinary Together. To manifest the essence of Extraordinary Together throughout their report, we proposed a mosaic treatment for all of the report's imagery. Performance-oriented high-impact human images coupled with an explosion of their brand colors further bolstered the drama their report deserved. 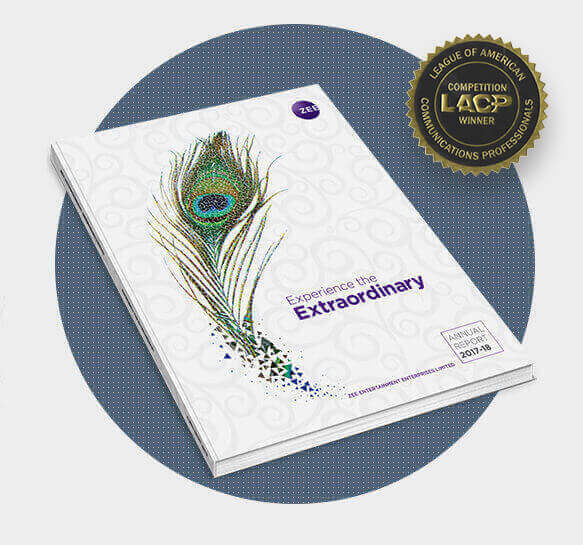 This LACP award-winning report is in an interactive web format too. Click here to view. mjunction is India's largest B2B e-commerce company, and is a 50:50 venture promoted by SAIL & Tata Steel. Caught in the middle of the recession, mjunction wanted to design a motivating annual report to reflect their fight against the headwinds it faced. While financial numbers looked weak, we used a battlefield theme to play out their financial story, and re-designed it into a printed annual report that spoke of courage in the face of fire. Tata Consultancy Services has been constantly evolving over the past 5 decades to stay relevant. When they approached us to conceptualise their annual report design 2018, we proposed a concept that displays their relevance for the next 50 years. 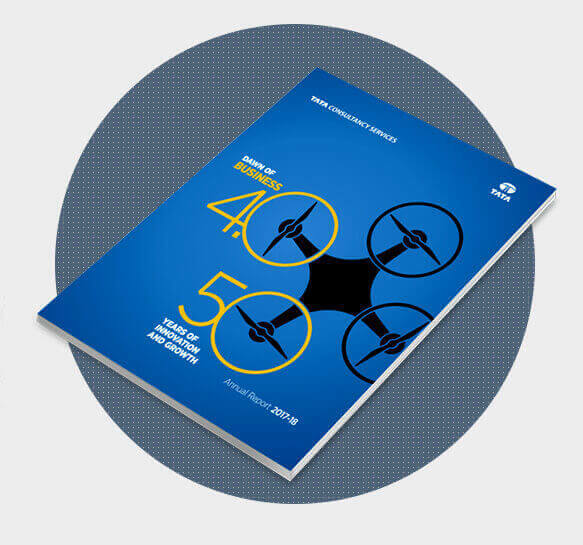 Industry 4.0 being one of their key pillars, we brought it alive by illustrating their cover with a drone, rotors of which interact with the title typography to complete it. Kotak Mahindra Bank went through a phase of tremendous growth and wanted to showcase it to investors and media in their annual report. The bank also wanted to emphasise on the concept of ‘One firm, one culture, one brand. Infinite opportunities.’ To design this report, we went back to nature to showcase strong roots that project stability and growth. The Government of India’s quest for a technology-driven storehouse for UIDAI’s Aadhaar-based data on tap 24x7 was conceived by us. 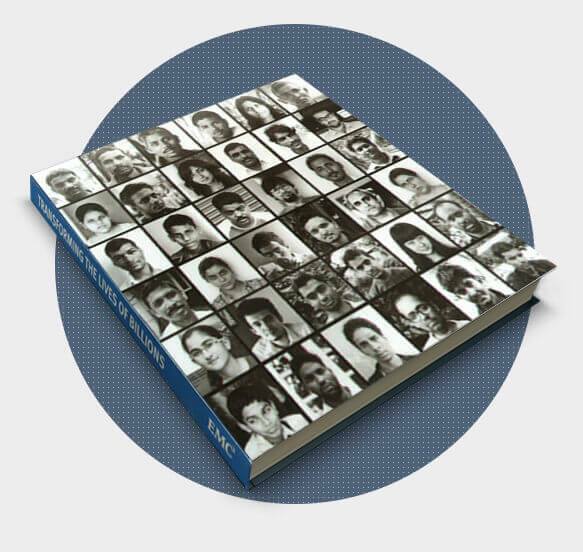 We designed this coffee table book to chronicle case studies of EMC products from concept to commissioning to execution. A lenticular cover put a smile on morose faces to showcase the happy impact of Aadhaar. The illustrations and pictures conveyed volumes about the size, scale and success of Aadhaar. Every year, Marico, one of India's largest FMCG conglomerates, publishes a report highlighting the sustainable practices they're proud of. We brought the thought of sustainability to life with traditional community-centric wall paintings by the Varli tribe of Maharashtra. These paintings are made of natural materials and Varli tribe’s animalistic beliefs drive them to lead an ecological and sustainable life. We carried the wall painting style throughout the report to strengthen the essence of sustainability. Tata Steel Rural Development Society forged strong bonds through life-enhancing projects in the community. We proved our mettle through the narration of case studies, individually encapsulated and crafted through the medium of Dokra – a metal art form. Close to 100 Dokra figurines and 3D models shed light on a wedding ceremony and children studying – courtesy solar streetlight. The spotlight extended to the case studies book. Investors don't always need a printed copy of the Annual Report on their desks. They are happier with one that comes alive on their smartphones. For Mahindra group, we made a digital Annual Report that did just that. All by converting 100+ pages full of figures into interactive digital content that investors could refer to, on the go. When India's first Hindi TV network completed 25 years, they didn't want to go with a lazy 'Silver Jubilee' theme for their annual report. Instead, Zee Entertainment came up with a new philosophy to mark this milestone- Extraordinary Together. To manifest the essence of Extraordinary Together throughout their report, we proposed a mosaic treatment for all of the report's imagery. This digital report won a Platinum award at LACP 2018. Click here to view. Pragmatix is a data analytics and decision sciences firm, recently acquired by CRISIL. For them, we took the lighter side of narrating a fascinating story for their 6 year journey. The path to success was paved with their evolution, solutions and products. Driven by the spirit of enterprise and challenge. A task which translated into an expression of a beautifully designed landing page. This helped redefine the way data-driven firms can represent case studies. It’s not impossible to convert complex data into an interactive story. For Tata Chemicals, we gleaned financial information from their Quarterly Results press release and created an interactive story in a Powerpoint Presentation for analysts. The deck did not just project quarterly numbers, it also simplified financial jargon to be easily consumed by anyone, finance savvy or not. When India's first Hindi TV network completed 25 years, they didn't want to go with a lazy'Silver Jubilee' theme for their annual report. Instead, Zee Entertainment came up with a new philosophy to mark this milestone- Extraordinary Together. To manifest the essence of Extraordinary Together throughout their report, we proposed a mosaic treatment for all of the report's imagery. This digital report won a Platinum award at LACP 2018. Click here to view. It’s not impossible to convert complex data into an interactive story. For Tata Chemicals, we gleaned financial information from their Quarterly Results press release and created an interactive story in a PowerPoint Presentation. The deck did not just project quarterly numbers, it also simplified financial jargon to be easily consumed by anyone, finance savvy or not. STRESS-FREE ANNUAL REPORTS THAT LOOK GREAT! Forget evaluating and negotiating with multiple partners every quarter. Now you can get your annual report, sustainability report, and analyst presentations designed in print, or as an interactive website. We will provide all project support and take total ownership of your investor relations communication, from design to delivery. Experience has taught us that designing financial content requires a special understanding and expertise. Our communication specialists and interaction design teams simplify complex facts and turn dull figures into engaging stories that are designed to delight. Regardless of planning ahead of time, sharing financial data is sensitive. Especially when the results are undeclared. At DesignMyReport, we follow clear protocols to ensure that your data remains secure. To maintain confidentiality, we only work with watertight confidentiality agreements and dedicated in-house teams. 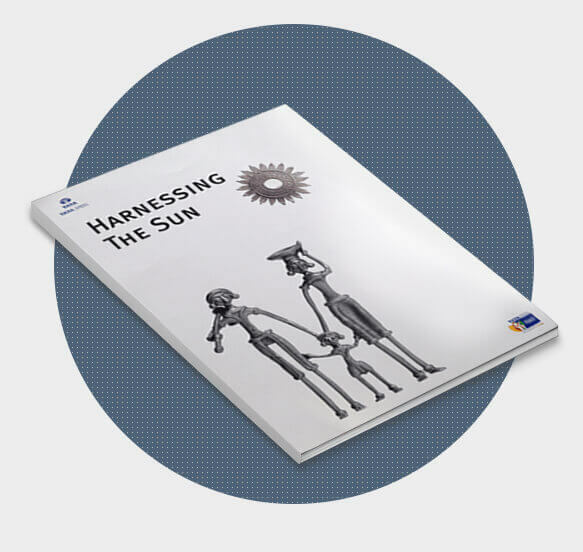 The difference between a functional annual report and one that makes an indelible impact lies in its design. Our ideas go through multiple quality checks for clarity, simplicity and design. If it's not 'wow', it won't leave our outbox. We have Investor relations and sustainability teams looks fabulous! Be it Automotive, BFSI, Capital Goods, FMCG or Information Technology, DesignMyReport works across sectors and industry verticals. And while we’re based out of Goa, India; in the last 19 years we’ve worked with CFOs, Head of Corporate Communication and Investor Relations of medium and large enterprises in practically every continent around the world. When it comes to Investor Relations, stakeholders need updates all through the year. Which is why, at DesignMyReport, we have a FY-FY (Financial Year to Financial Year) approach to corporate communication. 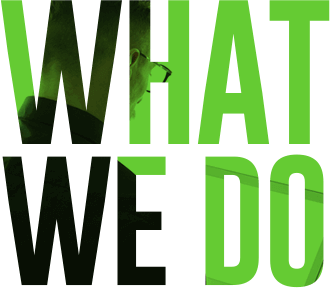 We plan, process and execute for an entire financial year, so you won’t have to. Get print-ready files for your annual report and a beautifully designed mobile-friendly website. Get a slick mobile-friendly annual report microsite. Get a report designed only for print. DesignMyReport specialises in storytelling for business. We believe that stunning visual design and smart content has a significant impact on investor relations. Our 40+ team includes experienced report design specialists. We partner large enterprises for designing their Annual Reports, coffee table books to mark special occasions and other integrated reports.